Home Sport News HOUSTON ROCKETS BREAK OWN NBA RECORD FOR THREE-POINTERS AGAINST SUNS. The Houston Rockets again broke the NBA record for the most three-pointers in a single game as they made 27 against the Phoenix Suns on Sunday. Houston had set the previous benchmark of 26 against the Washington Wizards in December, before matching that total last week at the Sacramento Kings. But while dominating the Suns 149-113, Houston were able to improve their record again, shooting 27-of-57 as Eric Gordon contributed eight and James Harden five. 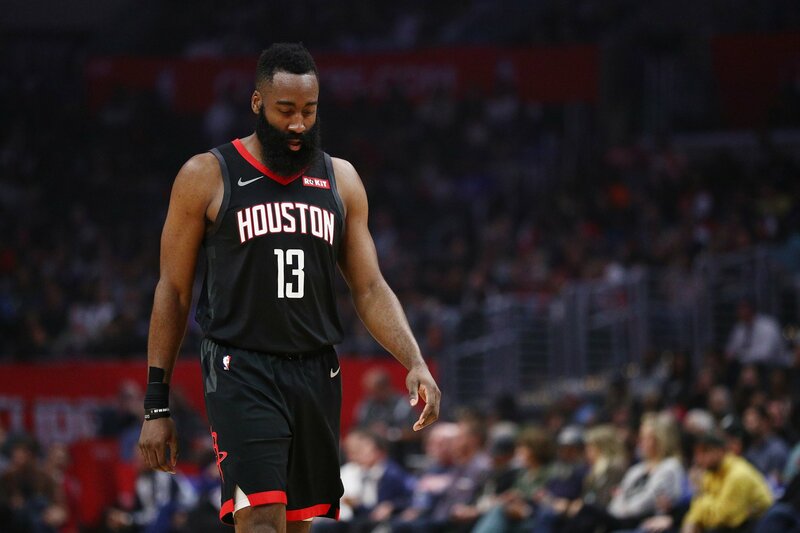 The Rockets are assured of home-court advantage in the first round of the playoffs, but they could yet move up to the second seed ahead of the Denver Nuggets in the final days of the regular season. Star man Harden – who had 30 points, 13 rebounds and nine assists – saw his side’s latest victory as a show of strength ahead of the postseason. However, team-mate Chris Paul was not getting carried away, insisting Houston’s late-season form would mean little come the start of the playoffs.